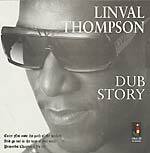 "The Jamaican reggae and dub musician Linval Thompson's career began around the age of 20. He has done much work to shape the reggae music during the last centuries. He collaborated with many of the greats of Jamaican music recording. I Love Marijuana was his first self-produced LP in 1978 and featuring some of his well-known tracks, like the title song, the funky 'Dread are the Controller' and 'Just Another Girl.' One of the nation's best bands, The Revolutionaries, is backing him up. 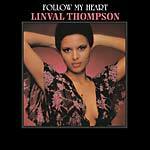 It's one of the finest recordings by Linval, before he moved on to become a prominent record producer. I Love Marijuana is available as a limited edition of 1000 individually numbered copies on orange colored vinyl." 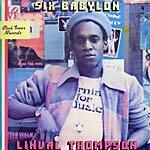 "Reggae great Linval Thompson's 1980 album reissued on vinyl." 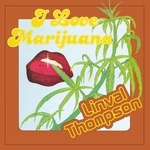 "First time on CD for these Linval Thompson albums. 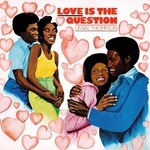 1979's I Love Jah is packaged with 1980's Follow My Heart." 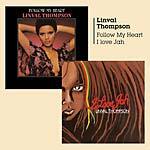 "1979 reggae album from Linval Thompson reissued on vinyl." LP version. Radiation Roots present a reissue of Linval Thompson's Don't Cut Off Your Dreadlocks, originally released in 1976. Distinctive tenor singer Linval Thompson honed his singing craft in his formative years, growing in the west Kingston ghetto of Three Mile, where he was associated with Dennis Brown, Johnnie Clarke, and Al Campbell. A subsequent move to New York brought him into expatriate act Hugh Hendricks and the Buccaneers, with his debut recording, "No Other Woman", being made circa early 1974 at Patrick Alley's Art Craft studio. A series of other singles followed from his New York sojourn, but the return to Jamaica in 1974 led to more noteworthy singles for Stamma Hobson, Phil Pratt, and Lee 'Scratch' Perry, with "Jah Jah Redder Than Red" and "Girl You've Got To Run", both cut at the Black Ark for Pratt, being the most successful. Yet, it was all but a prelude to the breakthrough success he would finally achieve upon teaming up with Bunny Lee for "Don't Cut Off Your Dreadlocks" one of the most popular releases of 1975; a debut album of the same name, issued by Third World in 1976, contained some of his most outstanding material, including the devotional "Jah Jah The Conqueror" and "Long Long Dreadlocks", the romance thriller "Black Princess Lady" and the anti-rude boy opus, "Cool Down Your Temper". 2015 repress; originally released in 2002. A collection of previously-unreleased dubs from Bunny Lee's vaults, once again. This time the focus is on Linval Thompson and the dubwise versions of some of his best-known work. This original release followed Thompson's 2002 Phoenix Dub release on Motion Records and his 2002 Can't Stop Us Now compilation on Easy Star Records. CD includes two tracks not included on the LP version. RSD 2015 release. Linval Thompson, although known for his production work in the reggae field, actually began his musical career as a singer. His distinctive chant-like vocals are spread over a catalog of roots lead tracks that sometimes can get overlooked. Dreadlock Sessions, a limited-edition vinyl-only release, focuses on that material. So sit back and enjoy Linval Thompson's Dreadlock Sessions where vocal meets version... Respect. 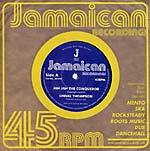 From the very successful Jamaican Recordings 7'' singles club, here is one of Linval Thompson's big hits for producer Bunny Lee in the mid-1970s backed with its conquering dub cut. 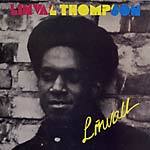 Linval Thompson is one of the great roots vocalists that ruled the dancefloors of Jamaica in the mid-'70s. With his distinctive vocal style and roots lyrics, he spoke of the struggles that faced the Rastas, which touched a chord with the people of Jamaica. This in turn would set a tone that he carried on through his music career and future production work. Even though he achieved a lot of success as a producer, it is his singing career that is the focus here, and Kingston Sounds has compiled a string of his classic hits for your enjoyment. LP version. 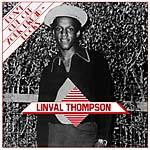 Linval Thompson is one of the great roots vocalists that ruled the dancefloors of Jamaica in the mid-'70s. With his distinctive vocal style and roots lyrics, he spoke of the struggles that faced the Rastas, which touched a chord with the people of Jamaica. This in turn would set a tone that he carried on through his music career and future production work. Even though he achieved a lot of success as a producer, it is his singing career that is the focus here, and Kingston Sounds has compiled a string of his classic hits for your enjoyment. 2018 repress. Channel One recordings from 1974-6. With Robbie Shakespeare, "Chinner" Smith, Tony Chin, Ossie Hibbert, Agustus Pablo, Tommy McCook, etc. "Bunny Lee's 'flying cymbal' production dominates the session and consequently the listener might recognize several of these cuts from dub compilations on Blood & Fire. Generally speaking, though, this is not a dub record. Only the last song on each side is followed by a dub version. These are straight-ahead rockers with no frills and, depending on the pressing, rather muddy production. It is also worth mentioning that 'Money Money' and 'Blood Gonna Run,' among others, find Robbie Shakespeare at his slippery and infectious best. Serious basslines throughout." -- AMG. 2014 repress. 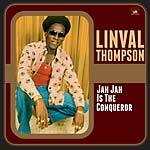 "Linval Thompson was the quintessential roots vocalist who also scored hits in the lover's rock mode; as a quick-witted producer, he helped germinate the contemporary dancehall style." 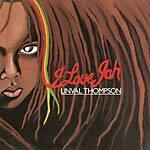 Classic Rastafari/roots from Rasta militant Linval Thompson. On purple vinyl. 2018 repress. 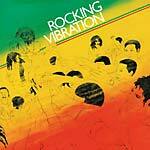 All tracks backed by Roots Radics, produced by Linval Thompson at King Tubby Studio.